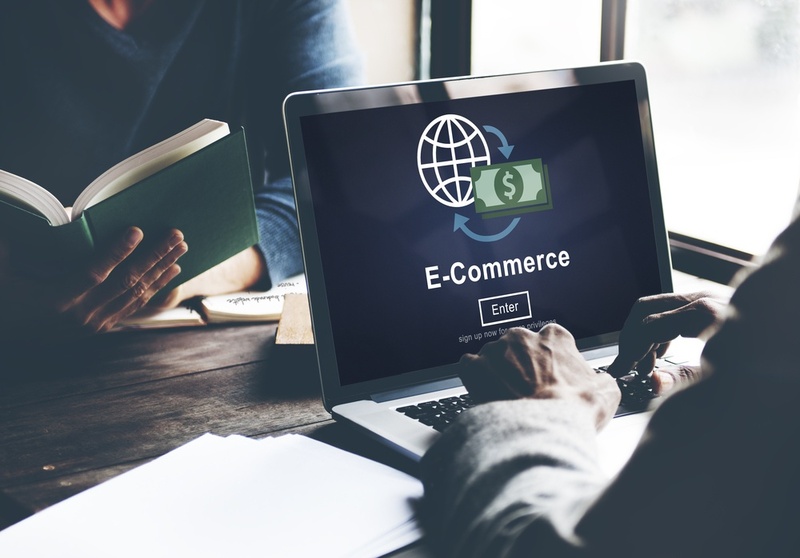 If your business model involves selling products over the internet, determining how best to build your e-commerce store is one of the most important decisions that you will make. For many companies, particularly those that are already using WordPress to host their website, the WooCommerce plugin for WordPress seems like an obvious choice. First released in 2011, WooCommerce is now used by thousands of e-commerce websites, from small businesses to large corporations. According to the WooCommerce website, the plugin now powers roughly 30 percent of all online stores. You'd probably think that there is a reason for this rapid spike in popularity, and it's true that WooCommerce has a number of advantages. To begin, it's a free plugin which is easy to install and start using if you are already familiar with WordPress. What's more, it comes with a number of built-in themes, as well as an analytics platform that can break your sales down by date and by customer. Of course, no e-commerce platform is perfect; there's only the solution which is best suited for your situation. Although some companies may be well-served by using WooCommerce, others would do better to have a custom e-commerce website that has been specially developed for their business. If you are choosing between WooCommerce and a custom e-commerce website, the information below will help you make a final decision. What Should You Know About Using WooCommerce? The first caveat that you should be aware of when using WooCommerce is that the plugin isn't exactly free—otherwise, how would the creators turn a profit? Although it's certainly true that you can get a basic online store up and running without paying a cent, the plugin also comes with a number of paid extensions that you might find necessary for your business. For example, you will have to pay extra for additional WooCommerce plugins if you want to sell memberships or if you want to charge a monthly subscription fee. You will have to purchase a new license for these plugins every year, and also pay more if you want to use them on multiple websites. Another issue with using WooCommerce is that the plugin isn't easily customizable beyond cosmetic changes to the theme. If your e-commerce store is fairly distinct, WooCommerce may not be the best solution. For example, if your customers should only be able to purchase certain products in combination with certain other products, then you may not be able to handle this specialized business logic via an "out of the box" solution such as WooCommerce. If it is possible, then you will likely have to hire an expert WooCommerce developer or spend time on getting a non-expert developer up to speed. Using WooCommerce also binds your business to the WordPress ecosystem in a way you may not be entirely comfortable with. For example, updates to WordPress or to WooCommerce may break your website and result in downtime and lost revenue for your online store. In addition, using WordPress and WooCommerce means that you are susceptible to any new security flaws and attacks that are discovered in the platform. Although there are steps you can take to make yourself more secure, using WordPress and WooCommerce means that your website's security is still at the mercy of an external company. Overall, WooCommerce is a fairly robust and mature e-commerce platform which is a solid choice for many organizations. If your business needs are less common, however, you may want to investigate using a custom-built solution. What Should You Know About Using a Custom Solution? Businesses who want to use a custom-built online store come in two categories: those that have already tried a platform such as WooCommerce and those that knew right away that they needed a unique solution. Having a custom-built e-commerce platform means that you have ownership and total control over the code base. You have unlimited scalability and flexibility to make alterations to the website as your business grows and evolves. There is no need to feel restricted by the limitations of any given platform. You are not susceptible to the same security flaws as thousands of other websites, which makes you less vulnerable to attack. If you are considering using a custom-built e-commerce solution but you have questions about the price, you should do a cost-benefit analysis of the two options. First, determine what functionality you require for your online store, and calculate how much it would cost you in annual subscription fees to achieve this functionality using WooCommerce and other plugins. Second, get a quote on how much it would cost you to have a custom-built e-commerce solution. With these two estimates, you can calculate the point in time at which you should break even financially. If you plan on using the given platform for less than this amount of time, then a pre-built plugin such as WooCommerce is probably the right option. On the other hand, if you want a solution that has potential to last, then a custom-built website makes better financial sense. You already have a WordPress website that you want to enhance with e-commerce functionality without having to redo your entire site. You are selling more "generic" products without much potential for customization, without complicated business logic about which products should be purchased together, and without a unique selling process. You want a solution that will be with you for the long haul, lasting at least three to five years. You do not want to be tied to a particular platform or stuck paying annual subscription fees. You have a unique or complex selling environment, or you are selling products that are highly customizable. You foresee difficulties with using a pre-built software solution based on some of the common problems with packaged software. Despite the price tag on the box, using WordPress and plugins such as WooCommerce isn't necessarily free. For instance, you will have to pay extra if you want features such as selling memberships or charging subscription fees. In addition, you may feel the need to hire an expert WordPress developer who can make the changes and customizations you desire, improve security, and perform maintenance on the code base. It's also important to emphasize that plugins such as WooCommerce adopt a "one size fits all" philosophy by their very design, in order to appeal to the greatest possible number of businesses. This means that there will likely be a higher learning curve involved in using solutions like WooCommerce because they contain a great deal of features that you will never use or need. Using a custom-built e-commerce solution means that you can create your online store exactly according to your specifications, tailoring it to your unique business requirements and objectives. With a custom e-commerce website, you know that you are getting what you need, when you need it.